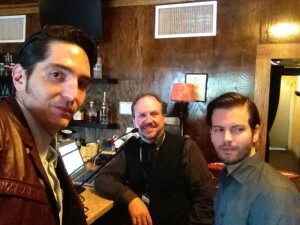 Director Collin Schiffli and writer/actor David Dastmalchian. Director Collin Schiffli and writer/actor David Dastmalchian stop by to talk to CPN’s Sean McCord about their film “Animals”. Inspired by Dastmalchian’s own struggle, the film tells the love story of a couple caged by their addictions on the streets of Chicago. “Animals” screens today, Saturday Nov. 8, at 6:45 in the Downtown Regal 4. For more information visit the Virginia Film Festival web site.